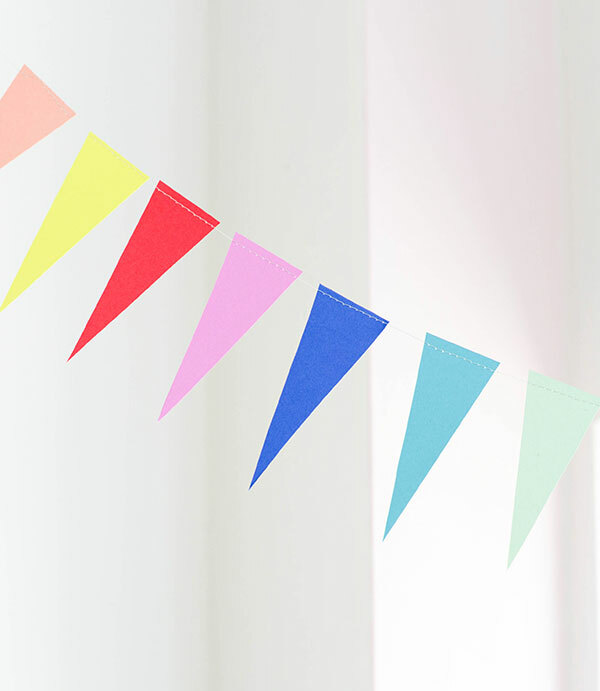 Sometimes the look of bunting can feel a little worn out to me. but I realized I’m still not sick of flags in bright modern colors. 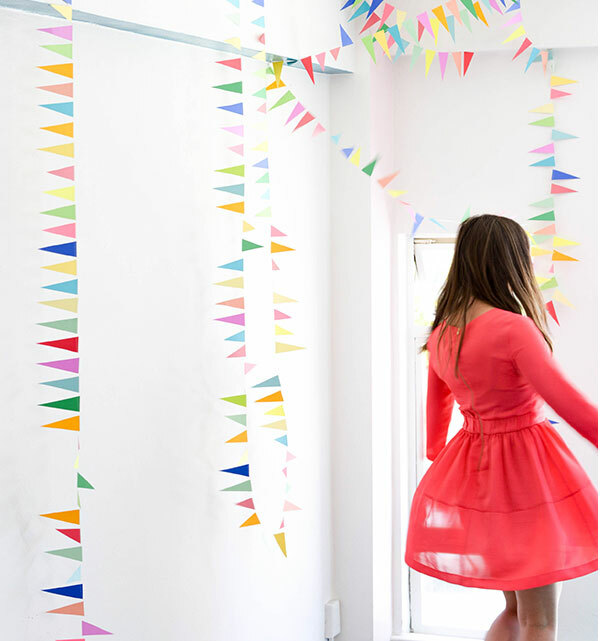 This project is great because it looks great hung up even after the party is over. I also love that you could take it down and reuse it over and over. It’s a classic look that makes any party look instantly festive. We’ve just started selling our favorite packs of good-quality colored cardstock in a kit right here. Step 1: On a regular sheet of printer paper, cut out a triangle template. Step 2: Trace this template onto your sheets of cardstock. Step 3: Use your exacto knife or scissors to cut out as many triangles as you need. The more you cut out, the longer your garland will be. 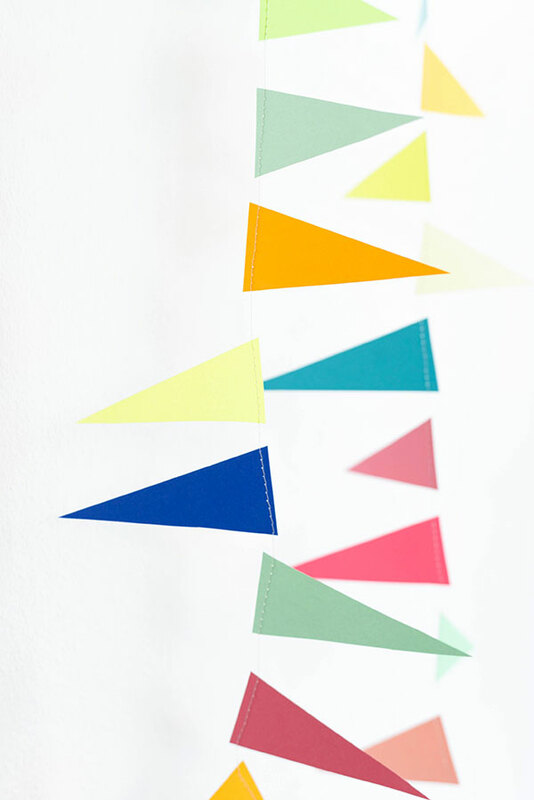 Step 4: Sew the tops of the triangles together – leaving about 2 fingers of space between each flag. You may have to adjust the settings on your sewing machine. Step 5: Hang with tape! 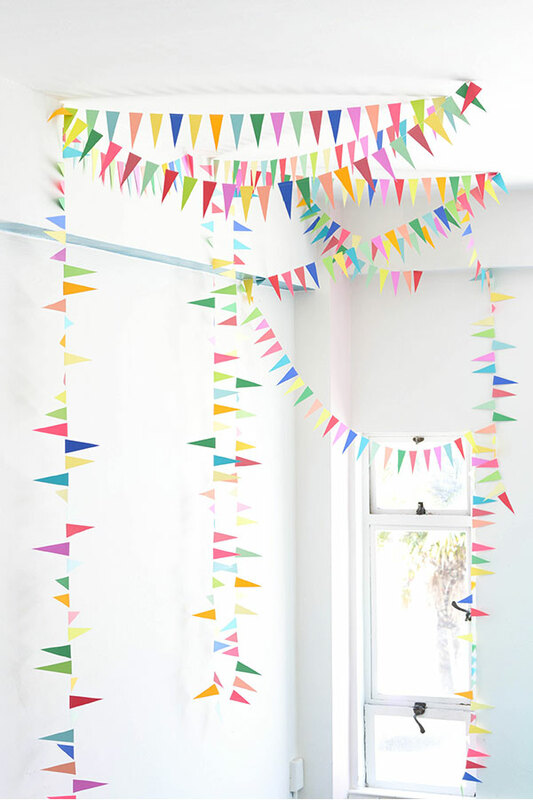 Loving this bunting! SO perfect for a kids birthday party! This is so colorful! Looking at it makes me happy. So adorable! My sons first birthdsy is later this month and I so want to make tHis! Love this look. Fresh and happy. Wow! I never thought of using a sowing machine to make a banner! Nice idea!! 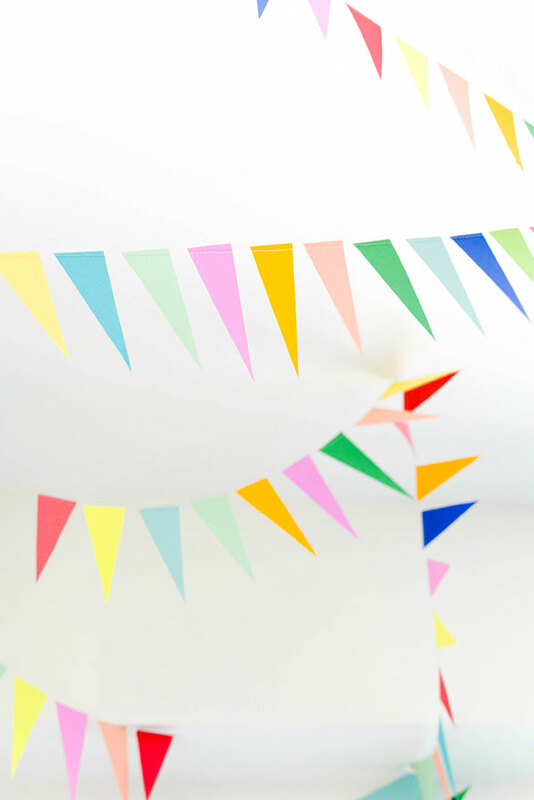 I am so making some banners for the next birthday in my home. Or just because since this looks super fun! Thanks for this post!